Summary: if you allow yourself to drink in the mood and the setting this superior supernatural character piece might impress more than you think. M. Night Shyamalan delves into a 19th century period setting with The Village; his most pensive work to date, and perhaps his most satisfying. Set in a small rural community cut off from the outside world The Village is a slow burning chiller that creeps under your skin rather than tearing it away nerves first. It invokes a gothic austerity in suggesting that an idyllic way of life, no matter how insignificant, will always be threatened. In the back end of the Pennsylvania boondocks a small village lives sealed off from the outside world, the inhabitants having moved there years before inspired by utopian dreams. Their simple way of life hangs in an uneasy balance with the mysterious inhabitants of the nearby woods, whose presence looms like a shadow over everything the villagers have built. This balance is unsettled when the curiosity of Lucius Hunt (Joaquin Phoenix) brings to an end a tense period of truce. “Those we do not speak of” begin making tentative forays back into the village, leaving some particularly chilling warnings that stir up the populace and force them to act. Here Shyamalan forces the village to start closing in on itself, as fear and tension build to turn paradise into a prison. A series of disasters force a young blind girl to brave the demons and venture past the forest to seek help. Forgive my vagueness in outlining the plot, but giving too much away would certainly ruin The Village as a viewing experience. Whilst the look and authenticity of the period setting, facilitated by Roger Deakins’ stunning cinematography, provides nourishment for the eyes, people will expecting a Shyamalan special, and, on one level, that’s pretty much what you get. But far from being satisfied with a full on chiller, Hollywood’s shining Night has produced something of a character piece. A talented ensemble cast, lead by William Hurt and Sigourney Weaver, deliver a sense of togetherness that is tender and warm, and Bryce Dallas Howard (daughter of Ron) stands out as Ivy, the true protagonist of the film, who goes on a quest inspired by love in order to bring about a change that few are eager to accept. The Village is at once a toast to the utopian ideals of pre-civil war Americana and a vague exploration of the fear and ignorance that isolationism can create; the latter being a theme that may have touchstones in contemporary American society. However, I would think that Shyamalan is a bit too canny to ever make these explicit (he’s not exactly a political filmmaker) in case it harms his mass appeal. That said, The Village certainly has a valid point to make. The point is will it all be enough for the directors’ fans? The slower pace and gentle subtext provides serenity between the jumpy moments and the inevitable twists and turns are woven into something of a love story by the end. Shyamalan still retains the ability to scare, this time in broad daylight, and he’s tactically avoided making things look too much like “Sleepy Hollow”, but the fact that there aren’t any kids who see dead people or aliens who are allergic to water, popping up here and there might prove to be a disappointment to many. 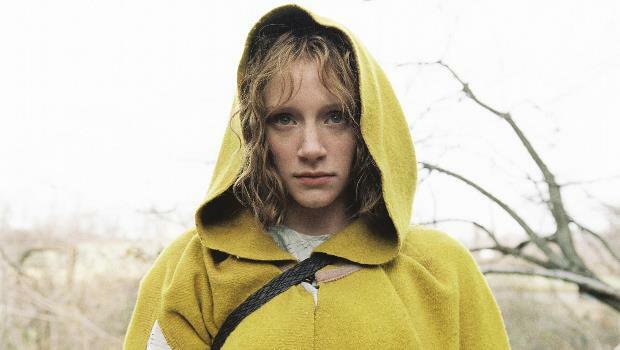 The Village is certainly a risky fifth outing, but if you’re not expecting a gut-wrenching revelation around every corner, and if you allow yourself to drink in the mood and the setting this superior supernatural character piece might impress more than you think.